In the vast tapestry of your life, what are the memories and images that stand out? Draw My Life is the story you can create in pictures. Following cues you can illustrate and annotate your best moments, as well as your craziest, happiest, silliest and most surprising ones! For anyone who has struggled to keep a journal or diary, this will help unlock those priceless memories and record them forever. Inspired by the YouTube phenomenon, this is a lasting and wonderful object that you can keep and treasure. It's also a hell of a lot of fun. 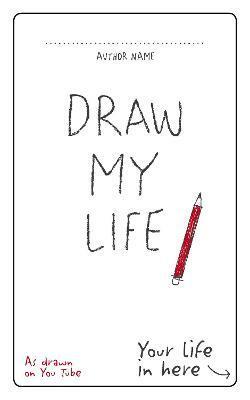 'Draw My Life' is an internet meme, where YouTubers narrate while drawing pictures of their lives.